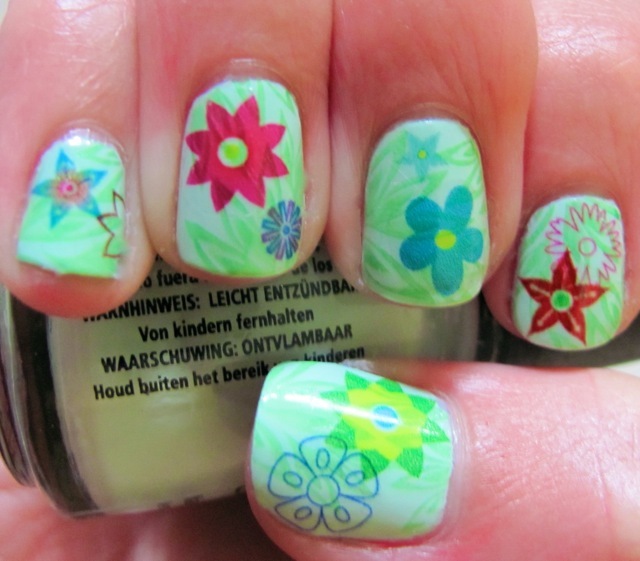 I painted three coats of China Glaze Re-Fresh Mint and added China Glaze Paper Chasing with Bundle Monster plate bm203. 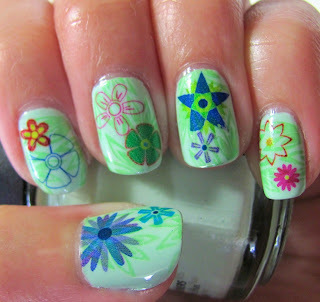 On top I added the flower decals and two coats of Seche Vite. Wow this is really something! I love this!